Pineapple and sriracha teriyaki grilled shrimp and pineapple skewers! 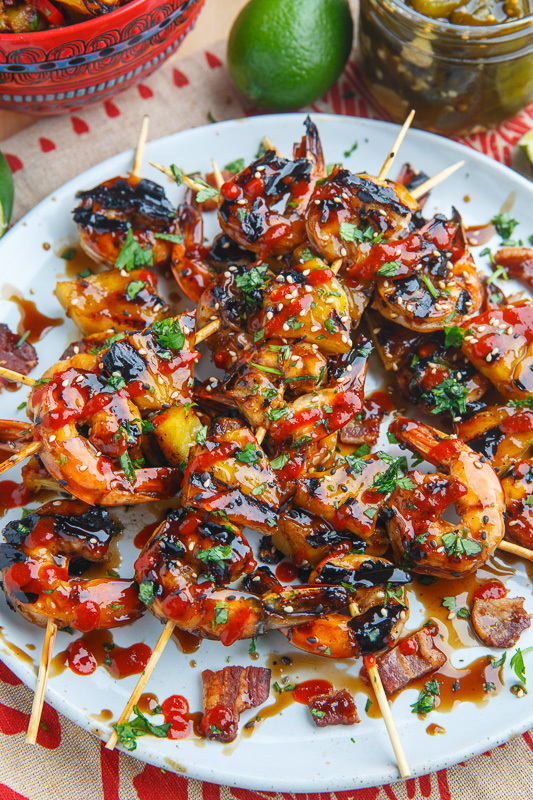 Today I have some more grilled meat on a stick for you and this time it’s a tasty grilled teriyaki shrimp and pineapple skewers! 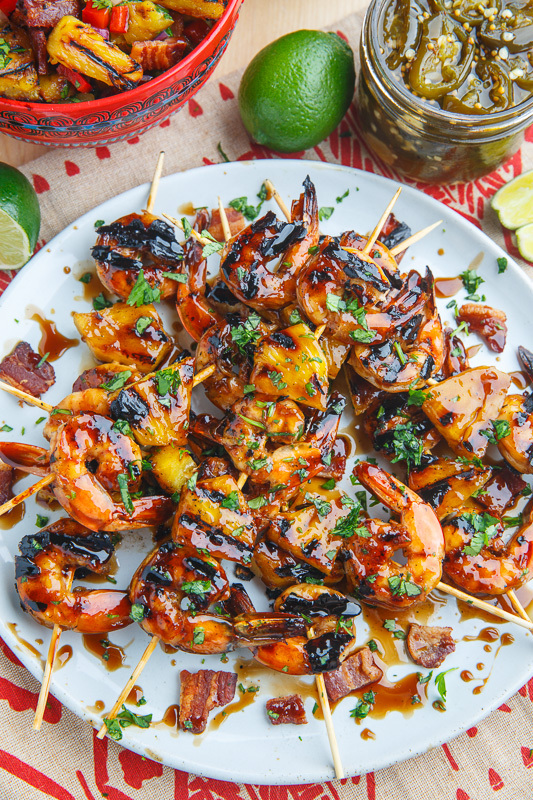 This grilled shrimp could not be easier to make! 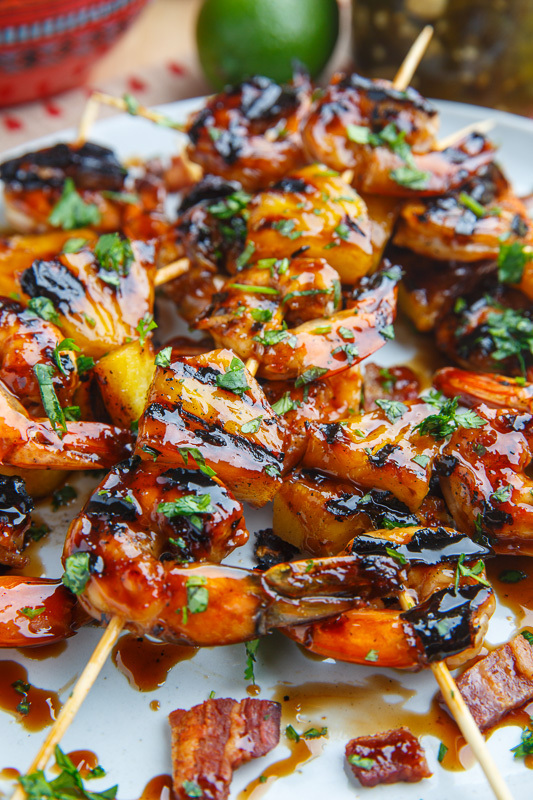 You simply marinate the shrimp in a quick, easy and tasty homemade pineapple teriyaki sauce, skewer it up along with some pineapple slices and grill it to perfection! 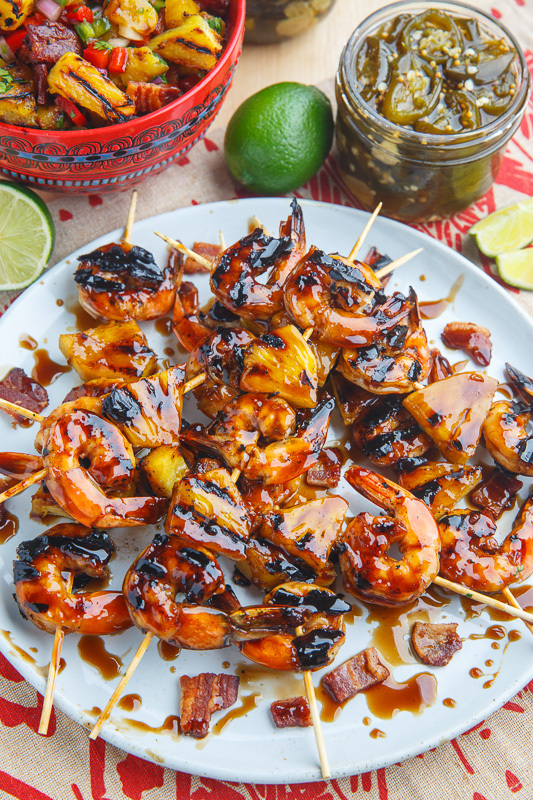 I enjoy eating these teriyaki shrimp skewers right off of the stick as finger food but it’s also great used in everything from salads, to tacos, sandwiches, etc. 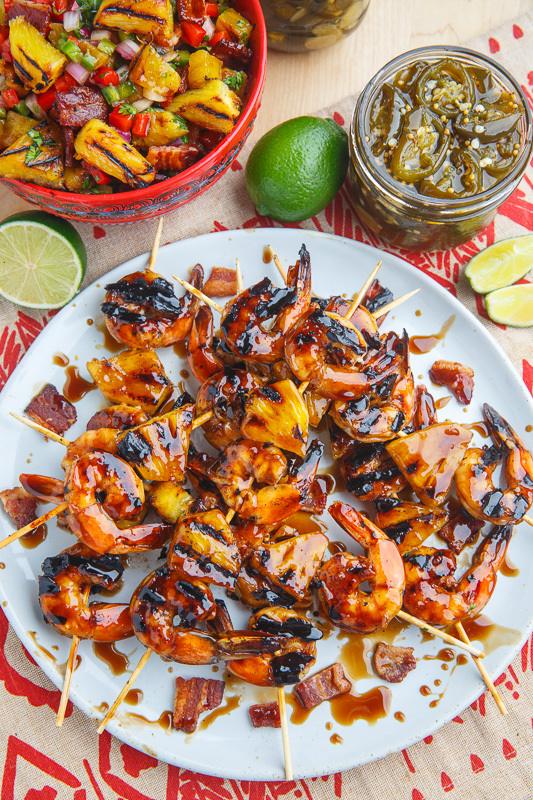 No matter how you plan on enjoying this grilled teriyaki shrimp and pineapple it’s sure to be a hit! We've been grilling seemingly every night this summer. Can't wait to give this simple/delicious recipe a try! it just looks SO good! gorgeous glaze! love that we're both on the same page with the sweet & salty combo! the glaze looks amazing! Pineapple is one of my favorite grilled fruits! looks great! quick question is the shrimp peeled and deveined or just deveined and marinated and grilled shell on? I found the candied jalapenos, but what is the grilled pineapple with what looks like bacon? I cant' find it in the search. bh: Peeled and deviened before marinating. Enjoy! I like to make extra marinade/sauce to baste on the whole skewer! Would this marinade be good for salmon? Then grill with some pineapple spears? This marinade would be amazing with salmon and griled pineapple!